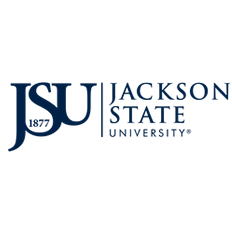 This website is a source for the most current Jackson State University Staff Handbook. 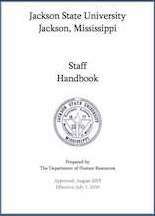 The Provisions of the Staff Handbook have been developed by the Department of Human Resources with the assistance and support of other University departments. Except for its policy of employment-at-will, these policies may be amended, or canceled at any time, at the University's sole discretion. These provisions supersede all existing policies and practices and may not be amended or added to without the express written approval of the President, the Office of the General Counsel, or the Department of Human Resources. Shown below are the web links to each of the six (6) staff handbook sections, a side menu of recently updated policies, as well as a full pdf version of the staff handbook for your review and/or download.